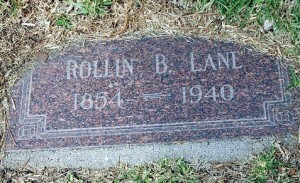 While not well-known today, Rollin B. 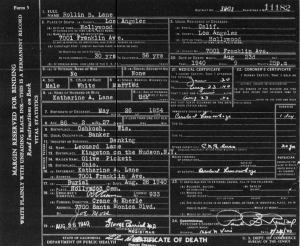 Lane was an early Hollywood resident; an admitted capitalist and philanthropist who donated large sums of money for parks, libraries and orphanages. However, if he is known at all it would be for a street named for his mother, and for the home he built more than a century ago, which is now one of the oldest standing in Hollywood. 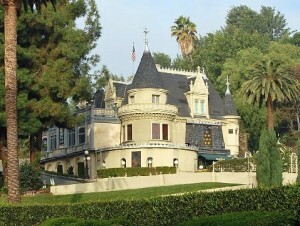 In 1909, Lane named his home the “Holly Chateau,” but for the past fifty-five years it has been known by its more celebrated name – the Magic Castle. 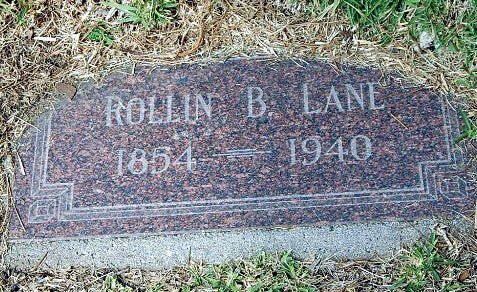 Rollin Benjamin Lane was born on May 28, 1854 in Oshkosh, Wisconsin, the son of Leonard Lane and Olive Pickett. The family home was located on Algoma Street, however, when his parents divorced (or his father deserted them), Rollins and his mother moved to nearby Pickett when he was two years old. 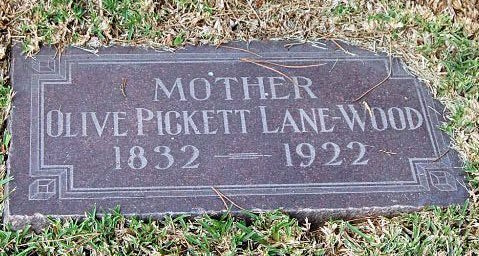 His maternal grandparents, Armine and Anna Pickett, were pioneer residents of Pickett and Winnebago county. 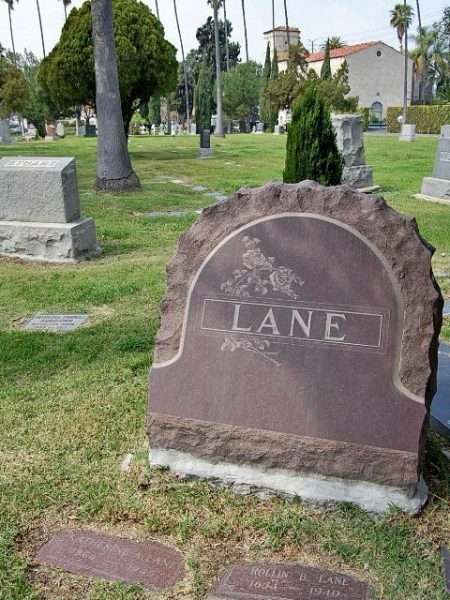 Lane attended school at the old district No. 6 building, built on land donated by his grandfather. In 1872, he graduated from Ripon College and later became associate editor of the old Daily Evening Wisconsin in Milwaukee before settling in Redlands, California in the winter of 1886. In Redlands, he invested in real estate and owned a 17-acre orange grove. With other investors, he established the Union Bank of Redlands, and was its cashier for five years. 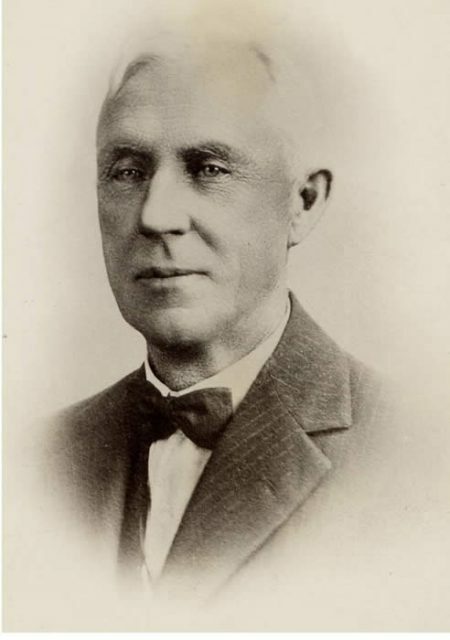 In 1890, Lane moved to Portland, Oregon, where he organized the Multnomah County Bank, of which he was president for three years before selling his interest in 1895. 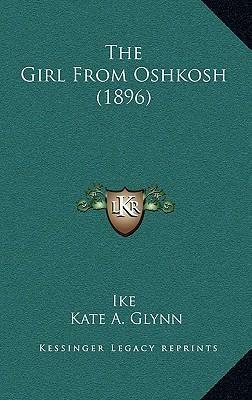 In October 1896, Lane married Katherine Azubah Glynn, a teacher, and the author of the fictional, “The Girl from Oshkosh.” Kate was born in March 3, 1864, in Bucktooth, New York to La Fayette Glynn and Mary E. Perry. She was also the great-granddaughter of Commodore Oliver Hazard Perry, the early American naval officer. 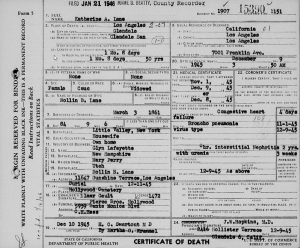 Lane, an ardent Republican, hurried to marry Katherine so he could return to California to vote in the presidential election for McKinley. Katherine evidently sympathized and consented to a quick wedding and the couple left immediately for Redlands. There he purchased a house at the head of Center Street. 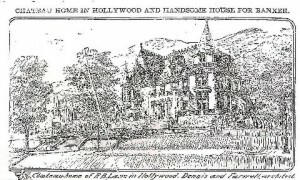 The Lane’s slowly made their presence known in Hollywood, moving there around 1902, making friends with influential people of the fairly new community. They attended the formal opening of the Hollywood Hotel’s new addition in 1905. It was then that he became acquainted with local real estate icons such as the Whitley’s, Wilcox’s and other Hollywood pioneers. Meanwhile, Lane continued with his California real estate investments including projects in the San Fernando and San Joaquin Valley’s. In 1907, Lane became a backer of the new community of Corcoran in central California. Founded by H. J. Whitley, who also had investments in Hollywood (Whitley Heights, Whitley Avenue), many of his co-investors were other Hollywood citizens including General H. G. Otis (Los Angeles Times), Arthur Letts (Broadway Department Store), and Dr. Alan Gardner (Gardner Avenue). Much later, Corcoran became the site of the California State Prison, home to a number of notable inmates including the late Charles Manson, Juan Corona and Phil Spector. 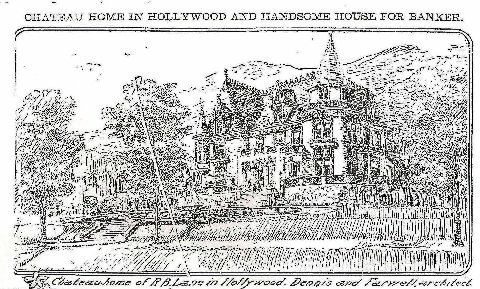 Now a resident of Hollywood, Lane began construction in early 1909 on his elegant Holly Chateau at 7001 Franklin Avenue, at the foot of the Hollywood Hills. The original house was designed by the architectural firm of Dennis and Farwell in the French “Chateau” or Gothic Renaissance style and adapted from a residence in Redlands known as “Kimberly Crest” which is now preserved as a house museum. Holly Chateau, a two-story frame and cement plaster house, had a large basement and finished attic under a mansard roof. The home initially had seventeen rooms including a roof garden and sun parlor. The basement contained a laundry, fruit and storage rooms and two large gas furnaces which heated the house. The halls, staircase and library were made of quarter-sawed white oak; the dining room was of mahogany and the den in natural redwood and of Turkish design. The parlor was decorated in white enamel with gold decorations in the Louis XV style, while the balance of the house, including the bedrooms and five bathrooms had white enamel finish. A large billiard room occupied the third floor. Other features included French windows, five or six fireplaces and carved mantels. The Lanes shared their wealth with causes that were closest to their hearts. 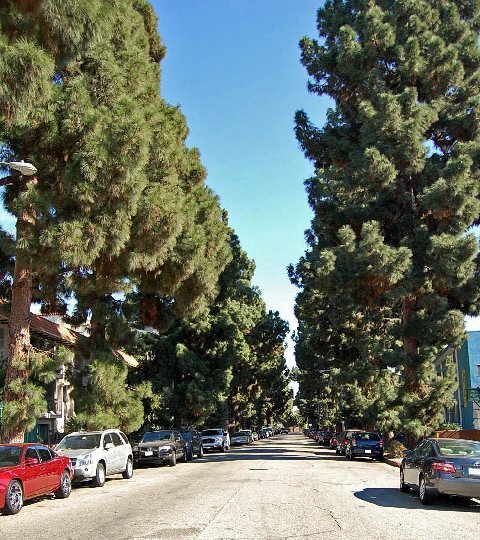 Because of her interest in community parks, Katherine was known as the “Tree Lady.” Hollywood’s Lanewood Avenue (named after Lane’s twice-married mother, Olive Pickett Lane-Wood), is still lined with large pine trees which Katherine most likely planted since the Lane’s once owned the land. 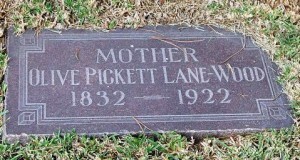 Lanewood Avenue, named after Olive Pickett Lane-Wood, in Hollywood. 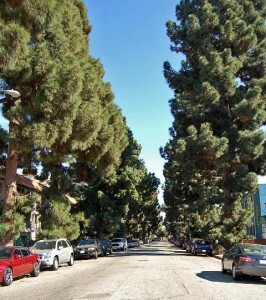 The pine trees that line the street were most likely planted by Katherine Lane. She was chairman of the tree-planting committee that procured 360 cherry trees from Japan for planting around Griffith Park. Working with the Los Angeles Chamber of Commerce, Katherine is responsible for the planting of the landmark palm trees that line Wilshire Boulevard. 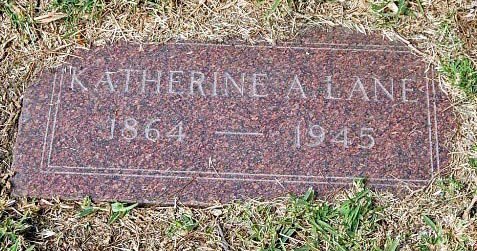 Katherine was elected president of the Hollywood Women’s Club and was the founder of the Round-the-World Club, Lane Tree Club, Perry Art Club and The Juniors. She also joined such organizations as the Hollywood Club, Oshkosh Club, Ebell Club, Women’s Press Club, Daughters of the American Revolution and Casa Del Mar. In 1932, she hosted the Wisconsin delegates of the 1932 Olympics, which were held in Los Angeles. Around the time that they moved into the Chateau, the Lane’s adopted a son. 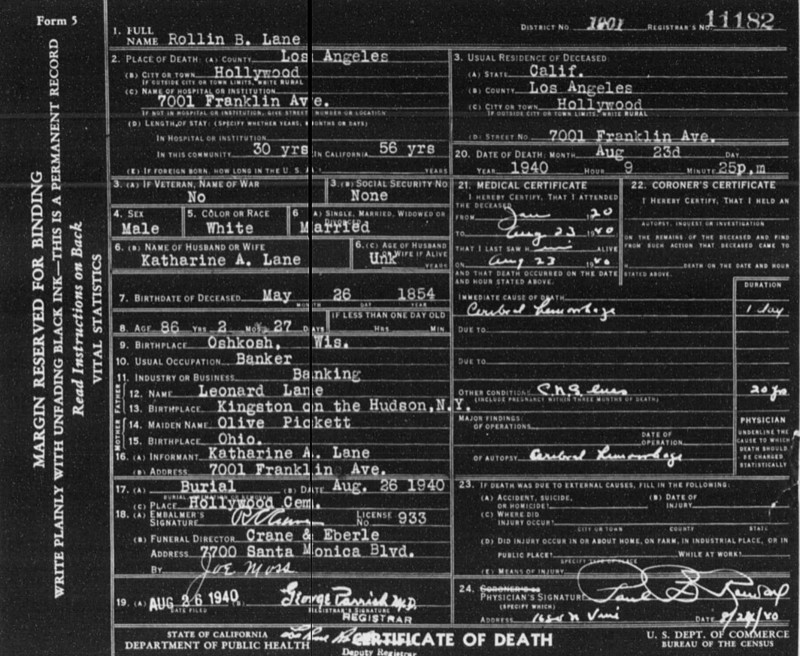 The 1910 census does not mention a son, however, in 1920, twelve year-old Rollin B. Lane Jr. appears. Some have assumed that is the reason for a $25,000 donation to construct a building for the Los Angeles Children’s Home Society, but not much is known about the adoption. Discord came to the Chateau in mid 1923, when Katherine filed for divorce against her 69 year-old husband. In her complaint she charged cruelty and named another woman, asking for $750 a month in alimony. A restraining order was issued to prevent Lane from removing anything from the house. However, after a meeting between the couple and their lawyers, a reconciliation was arranged and Lane returned to 7001 Franklin Avenue. However, Lane atoned for his sins the following January when he took Katherine and their son on a world cruise. A tour of Alaska followed this two years later and another world tour in 1927. 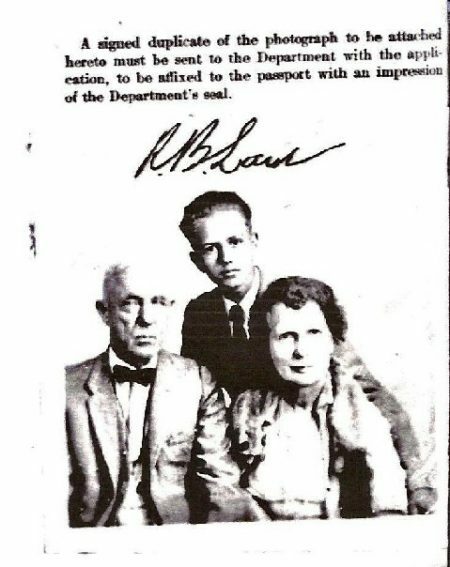 The passport photo for the Lane’s first world tour. Rollin, Rollin, Jr and Katherine Lane. As the movie industry invaded Hollywood, the Lane’s kept their distance and refused to hobnob with the communities new residents. There have been urban legends about cowboy star, Tom Mix riding his horse down the mansion’s staircase (this story seems to follow him at several Hollywood residences), but it never happened. Also, the story about actress Janet Gaynor once living at the Chateau are also false. The closest that the Lanes came to acknowledging the entertainment industry was a party they hosted to celebrate the birthday of composer, Carrie Jacobs-Bond, which was held at the Chateau for several years. Bond, who also lived in Hollywood, was a songwriter probably best known for composing the wedding standard, “I Love You Truly.” It became Katherine’s custom to celebrate Bond’s birthday with a garden party. During their 1924 world cruise, Katherine was on the Indian Ocean and when the ship’s orchestra played “A Perfect Day,” – another Bond composition – it touched her heart, so if she reached home safely, she would give flowers to Bond, honoring her living presence instead of her memory. 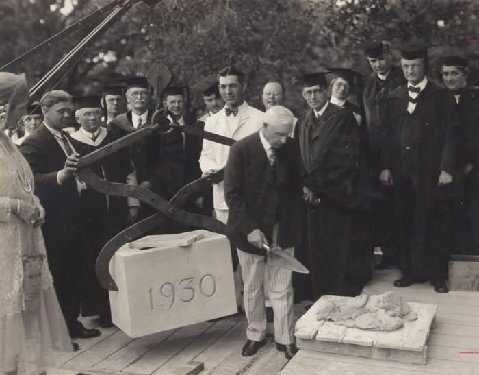 In May 1929, Rollin Lane presented his alma-mater, the Ripon College Board of Trustees with $100,000, to be used to build the Lane Library. 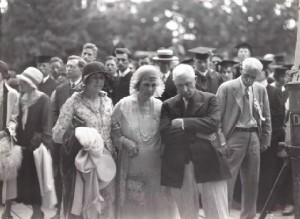 Lane, his mother-in-law, Mary Glynn and Katherine attended the cornerstone laying ceremony in June 1930. Rollin B. Lane died of a stroke in a small corner bedroom of the Chateau. He was 86 years-old. Funeral services were held at the Hollywood Cemetery Chapel and burial was in the family plot next to his mother. 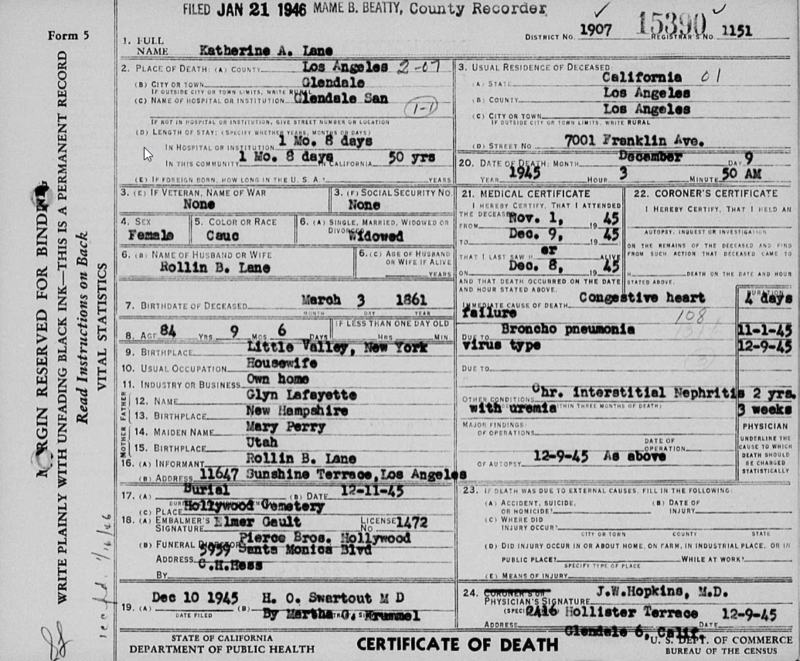 Katherine lived at 7001 Franklin Avenue until her death at the Glendale Sanitarium on December 9, 1945. 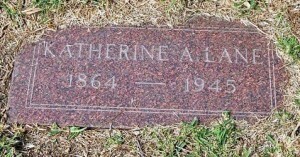 She was buried at Hollywood Cemetery between her husband and her mother (who is unmarked). 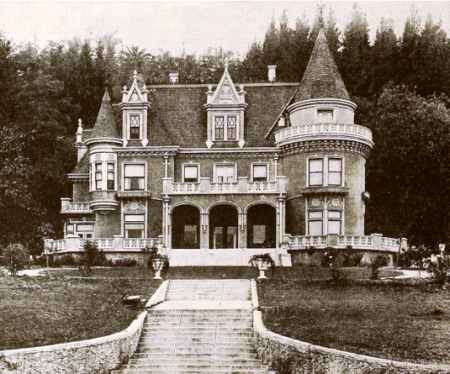 During the years after Katherine’s death, the Chateau was divided into a multi-family home. Following that it was a home for the elderly and lastly it was altered into a jumble of small apartments. In 1950, Harry Stafford, a stage and screen actor, died in one of the rooms. In the 1950s, when the house was on the market, Hazel Meadows, Roland Lane Jr’s mother-in-law, stayed alone in the house to show it to prospective buyers. One day, Bela Lugosi came by to view it after working at the studios. Meadows was scared her out of her wits, even though Lugosi was gentlemanly. The Holly Chateau was eventually sold to Thomas Glover in 1955. The fate of the house remained in question until Milt Larsen, a writer on the NBC game show, Truth or Consequences and his brother William, obtained the house for use as a club for magicians – a long-time dream of their father. After months of restoration, the Lane mansion was transformed into what is today known as The Magic Castle. On January 2, 1963, at 5 pm, the Magic Castle opened its doors to members. It became a mysterious mansion with secret panels, a piano played by a ghost and weird overtones of magic. The mystifying features of the place began with the entrance, a secret panel known but to members. The “Invisible Irma” room boasts a regular piano and plays tunes at a verbal command. Original posters of Houdini, the Mysterious Dante, the Great Leon, Thurston’s “Wonder Show of the Earth” and Brush, “King of Wizards,” decorated the Blackstone Room, where card tables are provided for sleight-of-hand experts. The mansion has been altered many times–both inside and out–since the days that the Lane’s lived there. Street lamps that adorn the driveway once dotted the original Victoria Pier in Venice. Decorative cast iron frieze work on the canopy overhanging the door was part of the entrance to the Masonic temple at Wilshire and La Brea. Paneling in the main dining room was taken from the shutters of the Norma Talmadge Building that used to stand on Sunset. And the chandeliers in the Palace of Mystery once hung in the first Bullock’s in Southern California. What would Rollin and Katherine Lane think of the transformation of their mansion? The room where Rollin Lane died is now the Houdini Séance room – perhaps one day Rollin will attend (or already has) to whatever goes on there and make his thoughts known. In any event, the only way you can see this magical place is if you know a member. If you ever have the chance, take it. You won’t be disappointed. 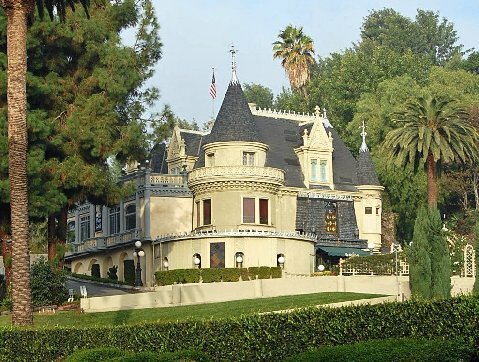 Special thanks to George W. Siegel, the architectural historian for the Magic Castle and to Bill Goodwin, librarian and Lisa Cousins of the Magic Castle for their help with this article.